The 2018 World Cup has already been a feast of football, with the planet’s greatest footballers showcasing their skills in front of an audience of billions around the globe. But off the pitch, something else just as dramatic is happening: we are seeing in real time how sports fans’ habits are changing. 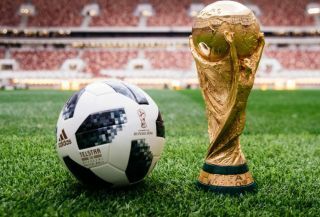 Most people will watch the World Cup from afar on television, and increasingly on mobile devices with in-game highlights and full live matches available on social media platforms and on broadcaster applications. Technology is allowing sports organisations to deliver the ‘next best thing to being there’ for fans unable to attend, while those in the stadium are demanding to be able to connect and experience matches in the same way they do at home. These trends have driven network infrastructure improvements at sporting venues and 5G is the latest evolution of this, enabling a whole host of new applications. The US has traditionally been the world leader in stadium technology, building high-capacity Wi-Fi networks and working with operators on Distributed Antenna Systems (DAS) so visitors can use their 4G connections too. In the UK, EE uses Wembley as a launchpad for its latest network innovations. While few fans would not attend a World Cup match because of poor connectivity, there is a concern that some would for a lower-profile sporting event. Fans like to post videos and images to social media, read what other supporters are saying on Twitter, and watch highlights during the game. At the World Cup, video assisted referees (VAR) have been used for the first time (and the results are grabbing more headlines than the players), so the ability to watch a replay on your mobile device will be invaluable to fans wanting to know what’s going on. Public Wi-Fi also has the ability to generate new revenue for stadium operators by allowing them to collect more information on visitors, offer personalised in-seat ordering, and to gain location data. Better connectivity is also key to improving the out of stadium experience. The 2017 UEFA Champions League Final between Real Madrid and Juventus was shown live in 360-degree Virtual Reality (VR), while highlights were again made available for the 2018 final. In the UK, the BBC has created its own VR app and Oculus has something similar in the US. BT Sport used this year’s FA Cup Final as a trial for its 4K HDR technology, which reduces the amount of data needed to deliver an Ultra High Definition (UHD) stream to a mobile device. How will 5G change this? 5G will enhance this even further. The first commercial networks are set to arrive in 2019 (2020 Europe), offering faster speeds, low latency and higher capacity. This means more fans in a stadium will be able to access faster mobile broadband, while new broadcast technologies – particularly on mobile devices - will become mainstream. 5G is likely to arrive in two phases. The first will work in conjunction with existing 4G networks using new radio technologies, while the second will herald the arrival of standalone 5G services. This means better mobile broadband and smartphones will come first, before the truly transformational applications, such as Industrial IoT and connected car services, become a reality in the 2020s. But already operators around the world are already investigating how 5G will transform the sports viewing experience for fans in and outside the stadium. Earlier this year KDDI and Samsung held a 5G trial at the Okinawa Cellular Stadium in Japan. The 30,000-capacity baseball arena played host to Samsung’s virtualised network technology (virtualisation is a key characteristic of 5G), 5G access units and multiple prototype devices – including tablets. Mobile equipment was deployed by the pitch to create a 5G network, which transmitted a live 4K feed to tablets located in the stands. Closer to home, O2 will turn the O2 Arena into a 5G testbed using the 3.4GHz spectrum it won at auction in February. O2 will see how the technology behaves in live conditions and how applications like VR, Augmented Reality (AR) and live streaming will work on the new architecture. This means spectators to tennis, darts, basketball, boxing and wrestling events will be among the first to experience 5G in a real-world environment. But perhaps the most valuable example to date is Intel and Korea Telecom’s work at the 2018 PyeongChang Winter Olympics in South Korea. Intel deployed the industry’s first non-test 5G environment at several venues as part of its long-term technology agreement with the international Olympic Committee (IOC), powering live or on-demand coverage of 30 events in Virtual Reality (VR). Each VR camera is capable of transmitting 1TB of data an hour and although this could be handled by Gigabit Wi-Fi, 5G’s ubiquitous coverage and low latency made it a more ideal solution. In total, 22 5G links at 10 sites delivered 3,800TB of network capacity across the 17 days of competition – a huge amount of data. This World Cup has come to soon for a commercial 5G deployment, but it will play host to two significant trials. Russian Operator MTS is preparing its network for 5G with an agreement to roll out Ericsson’s Radio System (ERS) and core network technologies across its infrastructure. This will also boost 2G, 3G and 4G coverage at key sites like stadiums, train stations and airports, but will also enable dedicated 5G demo zones during the tournament. Meanwhile, MegaFon and Huawei have signed a Memorandum of Understanding (MoU) to trial 5G at Russia 2018 as well. MegaFon is the official communications infrastructure partner for the event and will cover all 11 host stadiums as well as training camps, hotels and other facilities, albeit not with 5G. So our footballers will just have to make do when Tweeting or posting on Instagram. The next major global sporting event will be the summer Olympic games in Tokyo in 2020 by which point commercial networks will be live across the globe. VR coverage and 8K video are but some of the technical innovations expected at Tokyo 2020 and Japanese operator NTT DoCoMo has already announced its intention to have a live 5G network in time for the event. But we will have to wait until Qatar 2022 for the first truly 5G-enabled World Cup, by which point there will be close to three quarters of a billion 5G connections, according to figures from CCS insight. 5G has the potential to be a truly transformative technology, and the sporting world is no exception. TechRadar's World Cup coverage is brought to you in association with Honor.